Orlando Marriage Counselor Weighs In – Can Resentment Ruin Your Relationship? 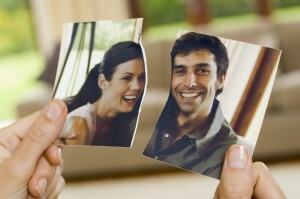 Is Resentment Ruining Your Relationship? Are you Stuck in Resentment? 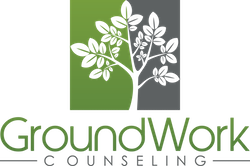 Orlando Marriage and couples counselors at GroundWork Counseling in Maitland state that the statistics are overwhelming – nearly half of all marriages end in divorce. For second marriages, the statistics are even more bleak. Many orlando couples and marriage therapists would agree that most marriages don’t end suddenly; most marriages erode gradually. However the individuals sometimes choose to ignore the warning signs. Problems are swept under the rug instead of addressed, a mental tally is kept on every perceived slight and wrongdoing and resentments begin to build – thus resentment begins to build. Orlando marriage therapists at GroundWork Counseling assert that addressing built up resentments is a necessary, very important step in relationship counseling. When resentment lives in one or both of the partners, unexpressed emotional pain tends to feed negative feelings that become stronger and stronger the longer they are ignored. The individual may spend hours ruminating on the wrongs their spouse has done to them, mentally keeping a tally of all the slights, indifferences and injustices their partner should or should not have done. They remember a particular situation, and sure enough, up come all the resentful feelings, resulting in getting angry all over again – they begin to feel annoyed by their partner’s mere presence. Orlando couples and marriage counselors at GroundWork state that getting rid of old resentments isn’t an easy task, it requires commitment to the relationship and a willingness to take personal responsibility for certain actions and behaviors that may have contributed to the issue. GroundWork’s marriage therapist suggests that you write your resentments down so you can discuss them with your partner during the counseling process. This must be done without blame and a sincere willingness to see both sides of the issue. The couple can then discuss what lessons were learned and what part of the relationship needs work with the help of a counselor. Letting go of resentment is a process that requires forgiveness. Forgiveness does not imply that you accept a certain behavior (which may have been inexcusable in your eyes), it simply means that you acknowledge that your partner is human (like you) and therefore predisposed to making big mistakes and bad decisions. Research shows that letting go of anger and resentment is effective for reducing anxiety and depression and can lead to better psychological and physical health – not to mention, a better marriage or partnership. By letting go of resentments we allow ourselves to enjoy the present instead of clinging to the past and allowing resentments to ruin relationships. With empathy, kindness and forgiveness, you may finally be able to let go of resentment and allow your marriage to heal – our Orlando Marriage Therapy Counselors can help. Boundaries in A Marriage – How Can Boundaries Help Couples?